The main reason I loved this dish is because of the chestnuts. Oops!! 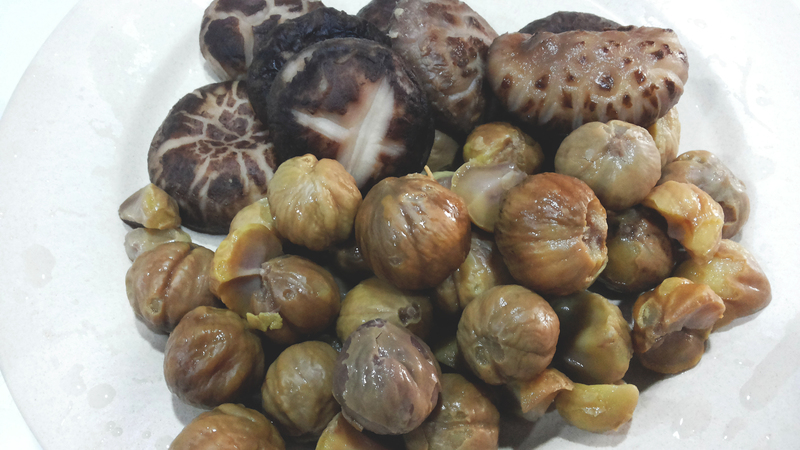 I just simply love to eat chestnuts because they are naturally sweet and have a nice flavour. This dish is a common home cooked Cantonese dish and quite popular in Hong Kong. As I was unable to buy the frozen or the ready peeled chestnuts, I was happy to be able to get the fresh chestnuts from the market. You just need to add an additional steps or two to peel off the shell and skin. This adds a slight “quest” to your cooking. This is a fairly simple and yummy dish so I hope you will try it. Once you have tried this recipe, we hope that you could provide us with some feedback / comments either via our blog or by joining our Mummy’s Kitchen Facebook Group. You can like us on Beyond Norm’s Facebook Page to get the latest updates from our blog. 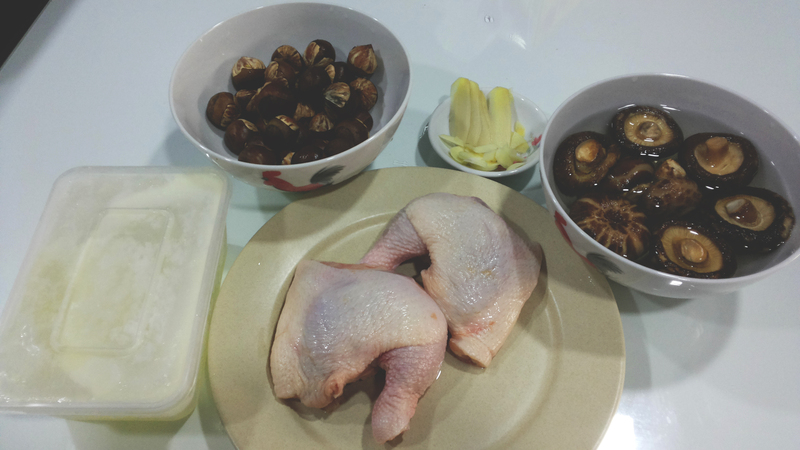 Blanch the chicken in boiling water for 30 seconds to get rid of impurities. Drain and set aside. Heat oil in a pan. 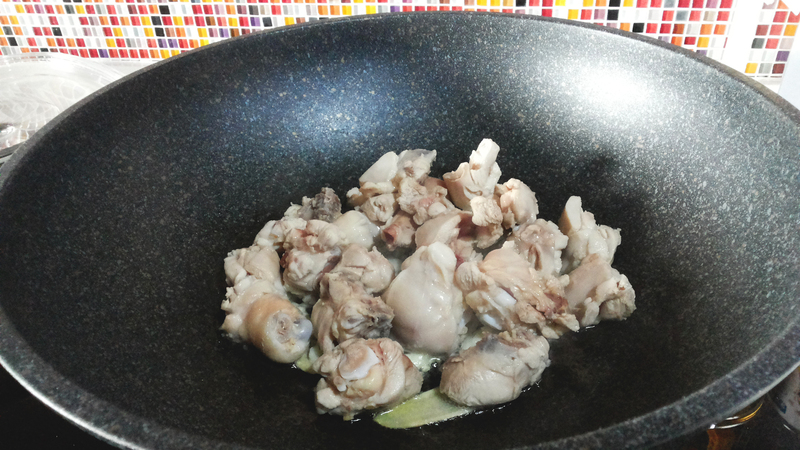 Sauté garlic till fragrant but not burnt. 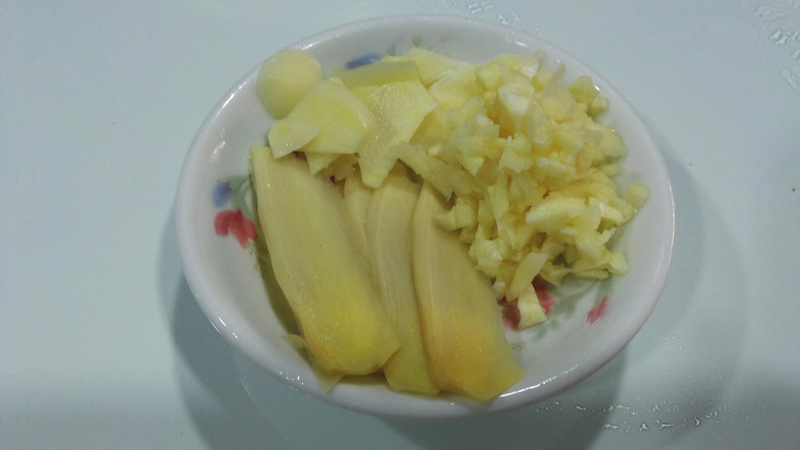 Add ginger and sauté until fragrant. Add the chicken and sear the meat for about 1 minute. 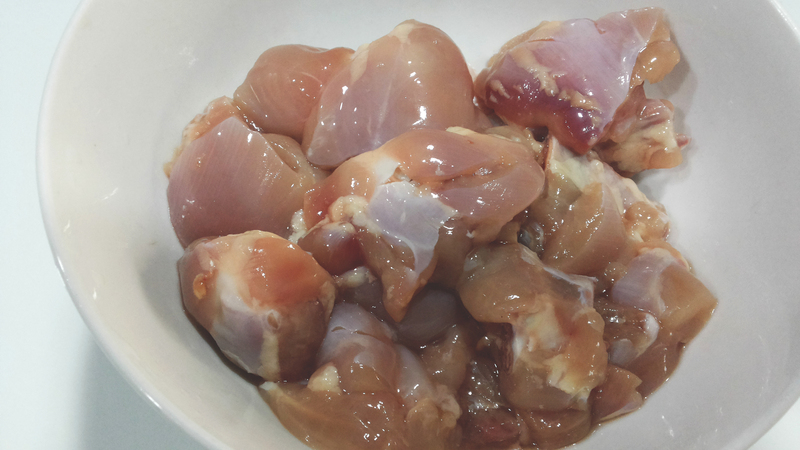 Now add 1 tablespoon cooking wine over the chicken and stir for 30 seconds. 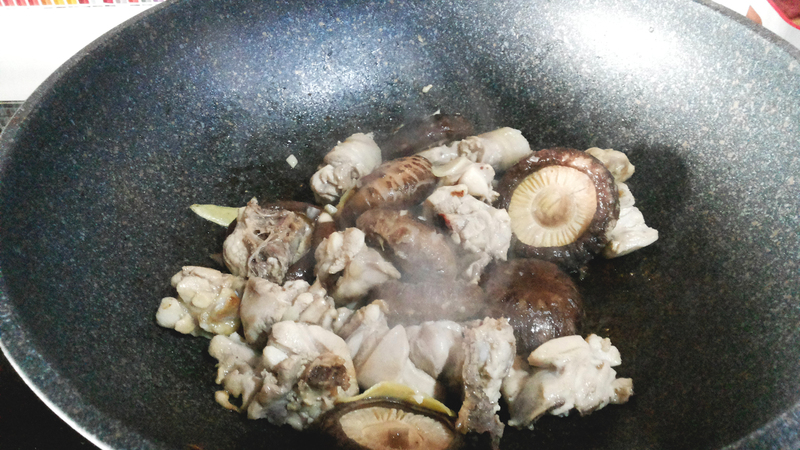 Add the chicken stock, mushrooms, bamboo shoots (if you want) and seasoning and simmer for 15 minutes. 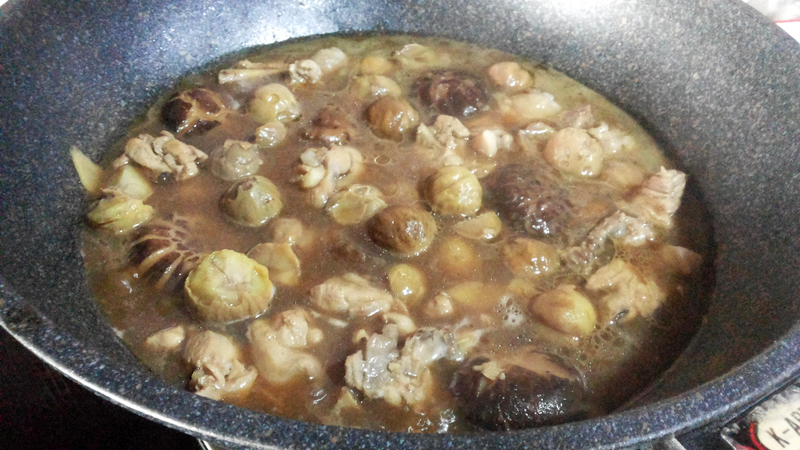 Add the chestnuts (I added them at this stage because I have already boiled them earlier.) and simmer for another 10 to 15 minutes. Once the stew is done, push the ingredients aside and add the corn starch mixture to thicken the sauce. You might not need all the corn starch. Stir in sesame oil just before serving. 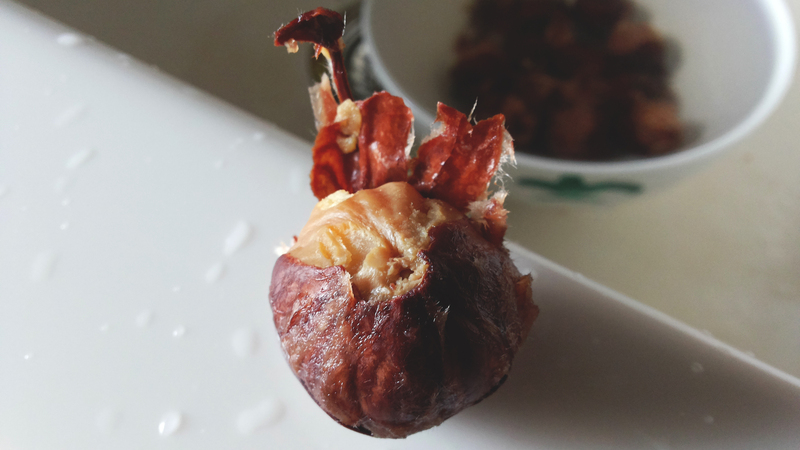 To boil, cover chestnuts with cold water, bring to a boil, and simmer for 10 to 15 minutes. Scoop out a few at a time and peel off the shell and skin with a sharp knife or your hands As they cool, they become more difficult to peel, so keep them in hot water until you are ready to peel.